Airbnb, the website that brought all those joyful memories for millions of people around the world and we all know and love was just a startup built by some young talents. One of these young brains was Brian Chesky and today we want to take a look at his life and the path he took to become one of the best entrepreneurs in the history. Brian Chesky or as his full name is, Brian Joseoh Chesky was born on 1981. His family was settled in New York back then and his father had polish origins which explains his last name unfamiliarity. He started his life as a young talented boy and after some times he found a new interest sparkling within him, he was so into architecture and building design and this interest led him to a new vast horizon. In the last year of the last century, Brian Chesky joined Rhode Island School of Design and got his bachelor degree on Fine arts and industrial design by 2004. It was there when he met another young and talented person named Joe Gebbia and in future these two made history together. Soon after he got graduated, he came up with some ideas on making his own business but started to work for other companies as a designer nonetheless. During these days, he and Joe Gebbia become closer than ever and they even shared the same apartment together and this led them to share their ideas in their time after work. One of the main reasons behind their idea of airbnb was one incident that occurred to both of them. They had to attend a conference hosted by the Industrial Designers Society of America and because of this event, in that area of San Francisco, all hotels and lodge were full and hence so many people couldn’t find any place for themselves, they couldn’t rent a place for a whole month and since Gebbia and Chesky used to live there, they came up with an idea. They started to give their own place for rent. All they needed to do was buying a couple of mattresses and this experience was so good for them that they came up with the idea of Airbnb room and breakfast. In 2007 they have started a company by the name Airbnb and after one year they had Nathan Blecharczyk in their team as a part of the original 3 founders of company. 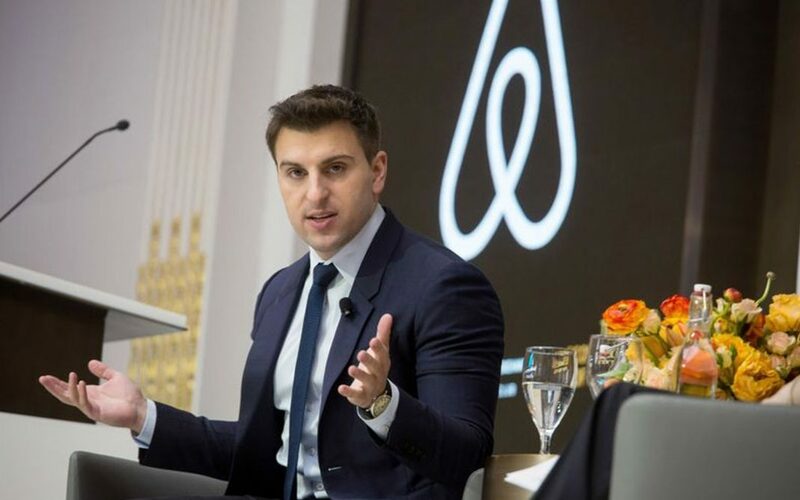 Airbnb grew extremely well and by the end of 2017 Brian Chesky is one of the top 100 most influential people in the world. His net worth is 3.8 billion $ so if you want a great example to follow on social media then go on and follow Brian Chesky.